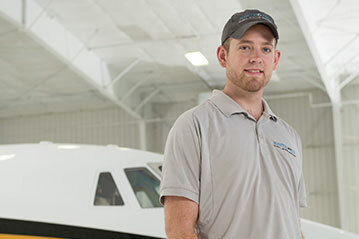 Sam Luther is one of six line personnel at Heartland Aviation. He is responsible for taking care of customers and their aircraft when they arrive. Whether it is fuel for the plane or a hotel stay for the night, Sam will make sure all of the details are in order. In addition, Sam is a senior at the University of Wisconsin-Eau Claire, pursuing a degree in Business Management. Sam has a strong passion for aviation and he hopes to pursue a career as a pilot in the near future.